Latest Pin additions to your collection! stitchismyspiritanimal, ItzaPinfan, firechief18 and 1 other person like this. I wanted to start off a thread where we could post the stuff we get in the mail. This is a very popular thread on many boards across the collectible universe. 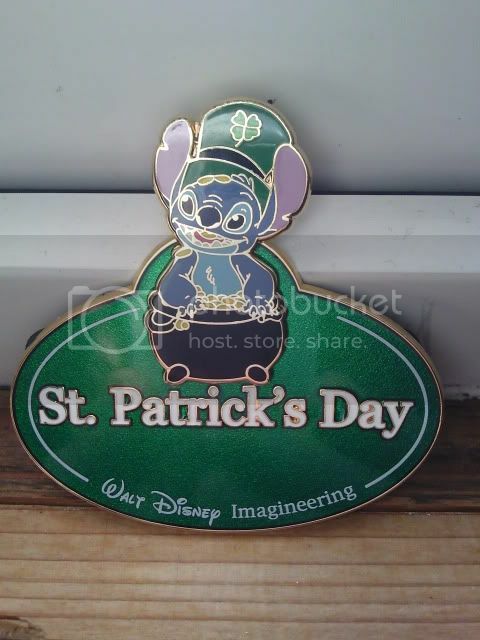 So please post a photo of trades you get in the mail, limited pins you pick up at the park or maybe something you found at another location. Added something to your collection, post it here. Here is my Pin It Forward pin from Rocke01, I love it. Today I received an LE 250 Alice for two pins. SO worth it. 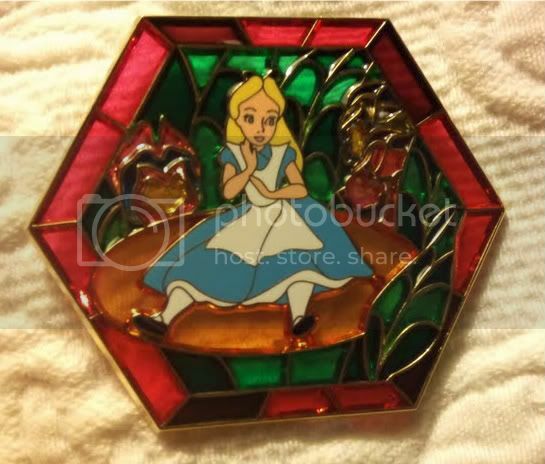 I love the singing flowers and Alice is adorable, so there's no way I could resist the combination. I will just give thanks to Tabbikat, J Llewellin, Pinfreak, farmersdaughter & Tinksmygal. I have 12 more expected this week alone. 2 of the most recent were for Max and I actually got 2 for me too. I just got the Halloween Train and the friend who got it for me got the $5 shipping. Latest arrival in the Earthbound DLRP Cast Lanyard set - on the doormat today! I didn't realise that it's apparently an LE1200 & was only released on Saturday! Mimachan and MommaIvy like this. MommaIvy and Mike_Mouse like this. 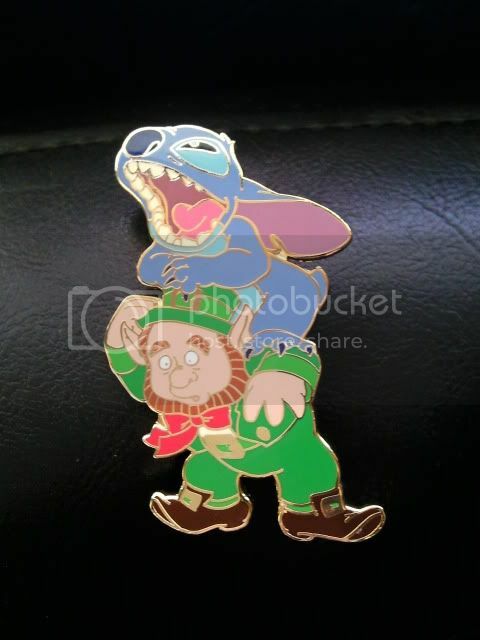 I had seen this Scar pin at a pin trader night on the up coming releases board, I just had to have it. Fast forward a few weeks later, & I saw it on the shelf at PT Fleas a couple weeks early before it was due to be released. I couldn't have been happier! LoL! This was in my mailbox, today! These didnt come in the mail but I wanted to show them off. I know the baseball pins arent Disney but I got them at Game 1 last night in SF. GO Giants! !